One half of a giant clam shell Tridacna Gigas, or Pa`ua. These old shells originate in the warm seas of the South Pacific. 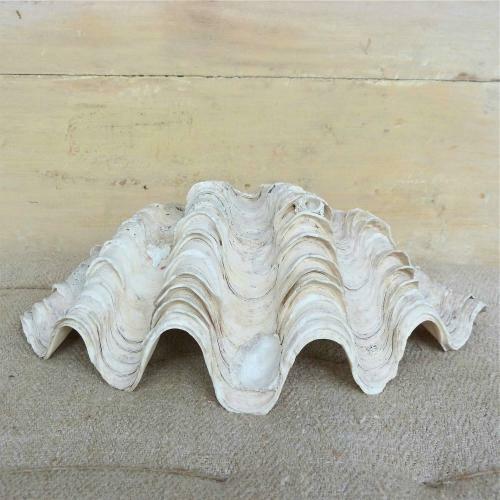 With an elegant, undulating form and wonderful rough ocean exterior this shell can be displayed up or down, and can make an excellent decorative soap dish.